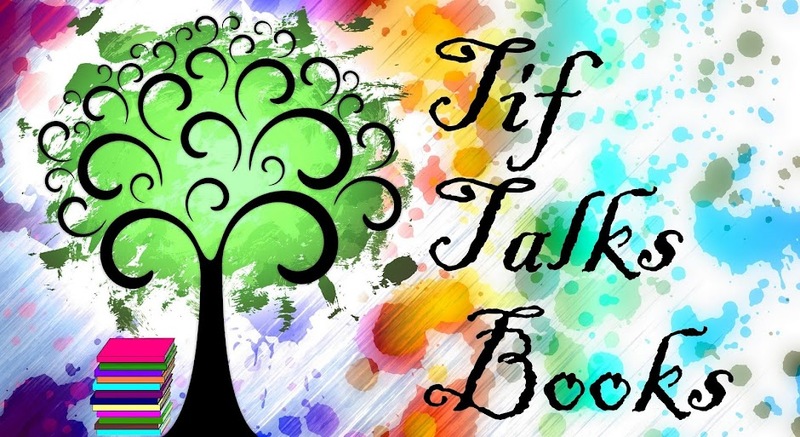 TIF TALKS BOOKS: NEEDED: Read-a-thon Relaxation!! So, here's some positives to add to those negatives . . .
My Grandfather's surgery went well and I witnessed many, many strides in the few days that I was with him. I am so thankful that I was able to be there, helping to literally brighten his room and day with my kids' artwork, and simply being there with my family. As long as he passes certain tests, he may just get to go home tomorrow!!! We just wait to hear the results!! Nothing beats a warm welcome home from my two kids, running to give me big hugs and kisses!!! And, the outlook of having my hubby home on vacation starting this Sunday is simply priceless!!! And, last but not least, it is less than 2 days away from Dewey's 24 Hour Read-A-Thon!!!!! A weekend filled with reading and writing sounds like so much fun and full of much needed relaxation!! What have I got on tap? Here's a little preview . . . I've decided to add my current reads to the list because I will probably be finishing them this weekend . . . Possible Futures & Harry Potter and the Sorcerer's Stone. I've also added my little collection of Poe. I have been getting so far behind in Poe Fridays, and considering this is the perfect Poe season, I'm planning on doing a little catch-up there as well. And, if time and the kids allow it, I also have added some other titles to this list . . . Defenders of the Scroll . . . King by Right of Blood and Might . . . 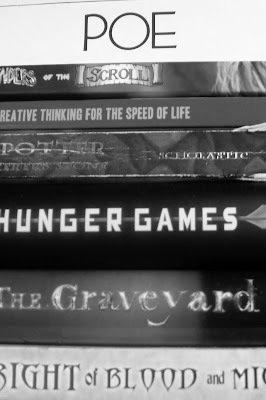 The Graveyard Book . . . Hunger Games . . . All I can say is WOW!!! I'm soooooo excited!! Finally, I've mentioned that I have my two young kids with me and Daddy at work. How do I intend to keep them entertained? They are participating too!! I've been talking it up all week!! They will have their own reading charts and will be able to earn prizes themselves (at least my older one! ), from white popcorn (I will try to post the recipe on Saturday when they get to that point!) to even a shopping spree at the bookstore!! I'm still searching for the perfect reading chart for my kids, but as I am searching, I am saving the links and will post all that I have found tomorrow for anyone else who may be interested!! 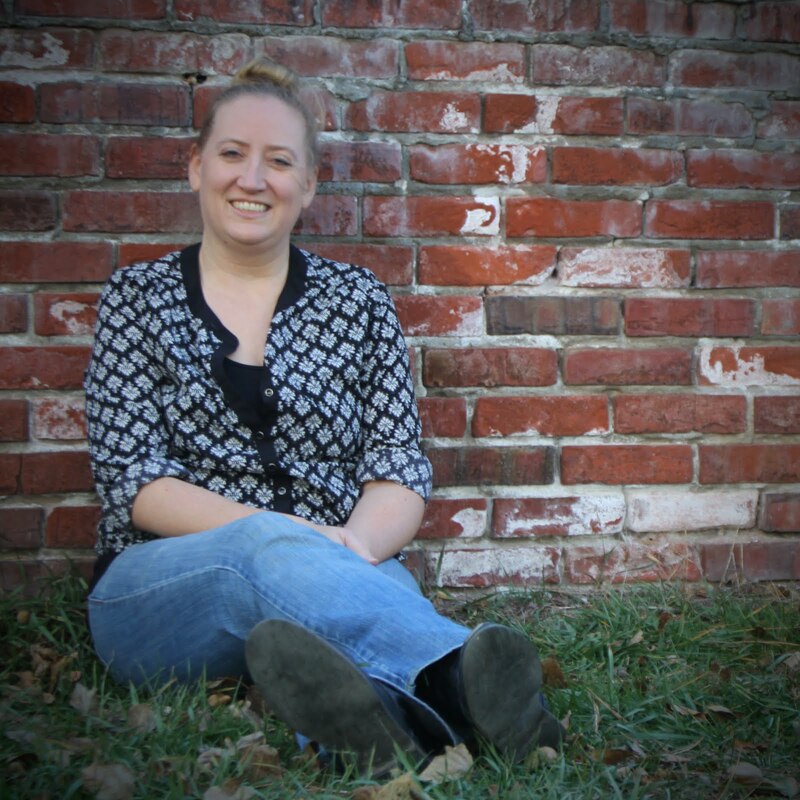 Do I have anymore tricks up my sleeve for my toddler and preschooler? Yep!! Books on CD!!! From titles such as Chicka Chicka Boom Boom to The Very Hungry Caterpillar, I'm hoping that all of these will buy me a little more time for my own personal reading and writing time. I guess we will only have to see how it all goes!! I will be sure to keep you all posted as I go!! Wish me luck!! So glad to have you back! It's wonderful to hear that things went well for you and your family. good luck with your reading. Sounds like a great stack of books to choose from! Dana . . . I'm excited for it!! Eric . . . I'm worried that my expectations will be too high for it, but looking forward to it nonetheless!! So glad to hear that your grandfather came through his surgery okay! And welcome home! Bet the whole family missed you like crazy! Alexia561 . . . They did!! And, I missed them!! !